The small business atmosphere in Columbus, Ohio is booming! According to the Columbus Dispatch, Columbus has been known to be one of the top cities for new business growth. 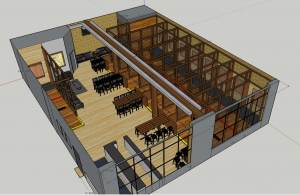 So, it sounds like Downtown Columbus is the perfect location for an urban axe throwing lounge, no? 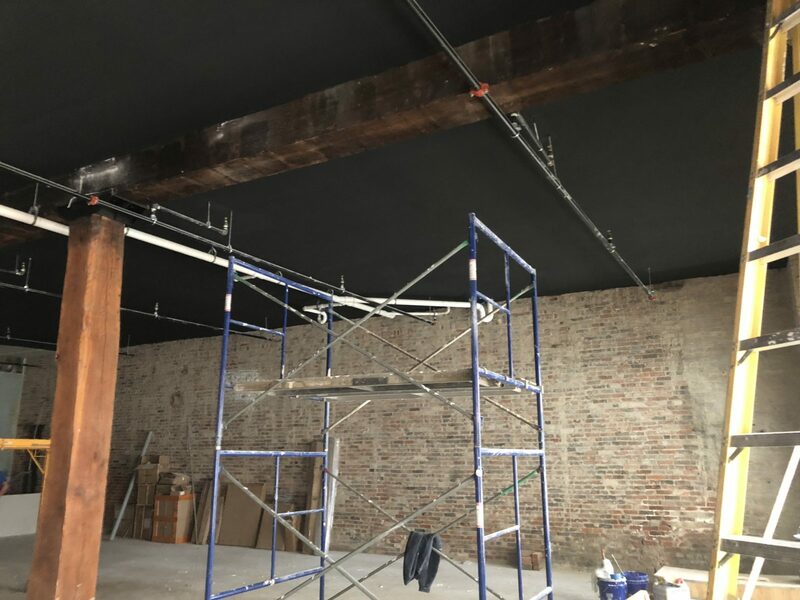 Owner, Jess Hellmich was interviewed by Elio Harmon of 614 Startup Podcast about the Idea, Scale, and Impact of the urban axe throwing lounge, Dueling Axes. 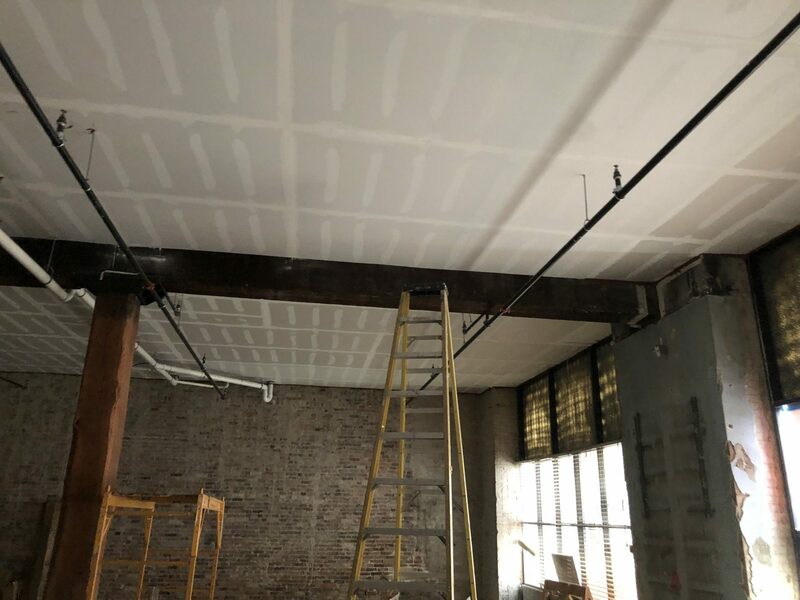 On S2E5, Elio asks how the idea of bringing an axe throwing facility to Downtown Columbus came about. Co- Owners Jess Hellmich and Paul Sherry may or may not have talked about it over drinks after a poker game. They were looking to bring a different activity, that many people have not tried, to Downtown Columbus. They saw an opportunity in the axe throwing industry and decided they wanted to be the best. The process was tough, and long. But once they landed a location on South 4th Street in Downtown Columbus, in the middle of a community of other great small businesses, everything started falling into place. With help from their construction backgrounds, Jess and Paul put every screw into the space that Dueling Axes calls home. 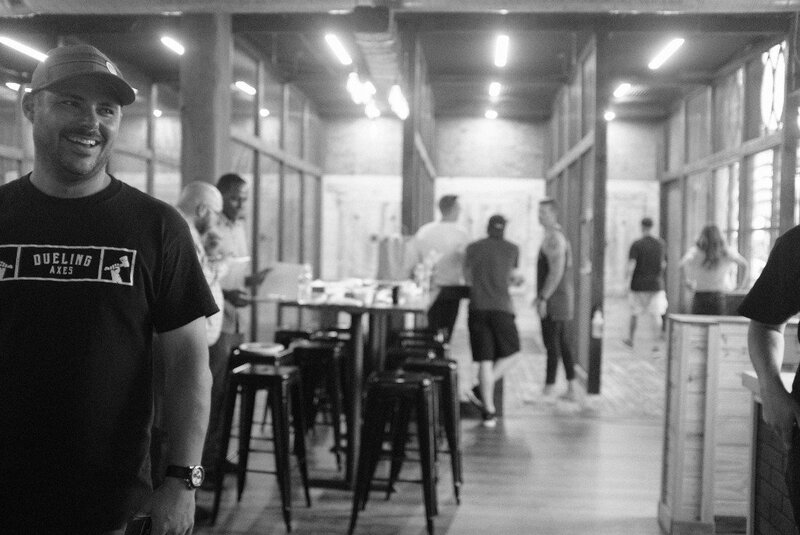 After a year and a half from start to finish, the urban axe throwing lounge opened in July 2018. Since opening, Jess and Paul have figured out what works best for them, what works best for business, and have only heard positive reviews. The axe throwing industry is new but growing at a rapid pace. It is not only perfect for date night but also great for corporate groups to take a break from the computer screen to focus on something different. 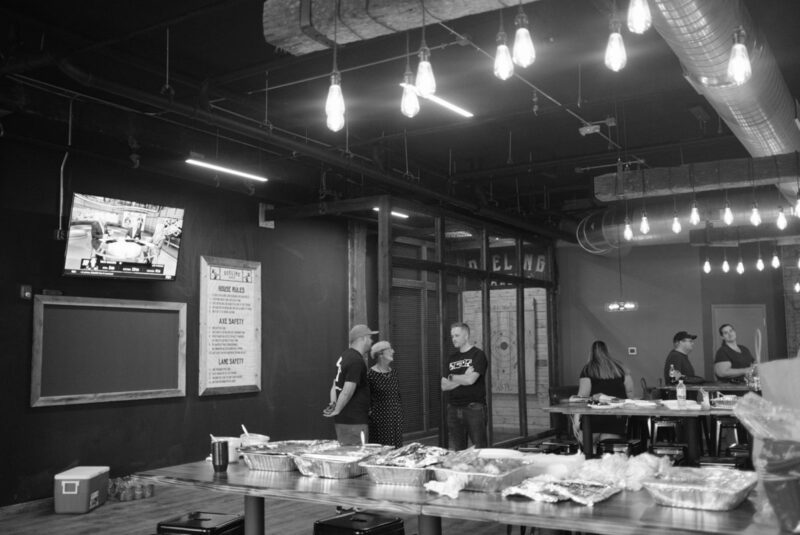 Dueling Axes has hosted a plethora of private events including birthday parties, bachelor and bachelorette parties, and even fundraising events. Axe throwing is a safe, fun activity that suits any age, any fitness level, and a great way to relieve stress. Next time you are looking to plan a night out for family or friends, come check out Dueling Axes. At 614Startups, we believe that entrepreneurship has the potential to create a better world and that Columbus, Ohio will become the global capital for startup growth and innovation. With this as our mantra, we are building a digital media company that provides a platform for entrepreneurs to tell their story and for startups to increase their brand awareness. 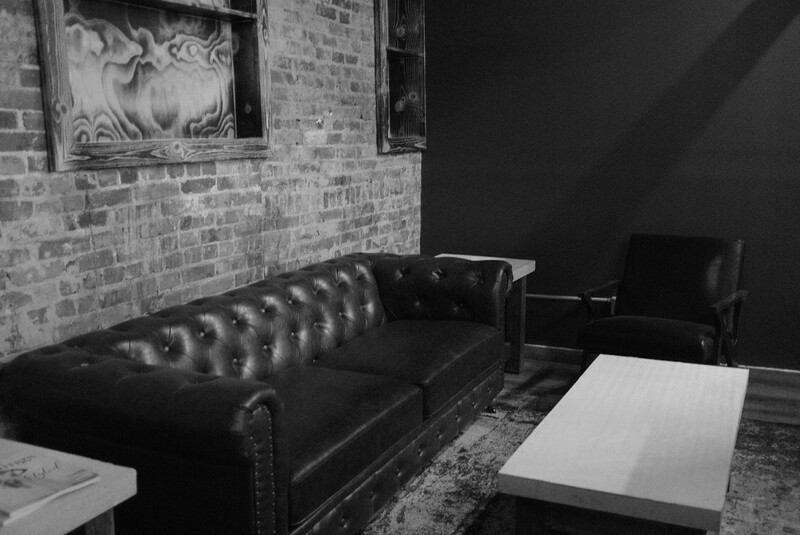 Our goal is to become the leading source for startup news and interviews in Columbus. Contact us at info@614startups.com. 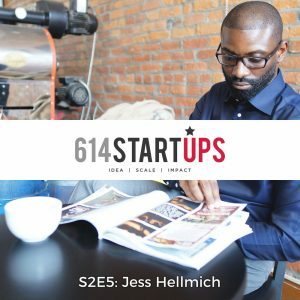 Make sure to check out the 614 Startup Podcast about Dueling Axes here. 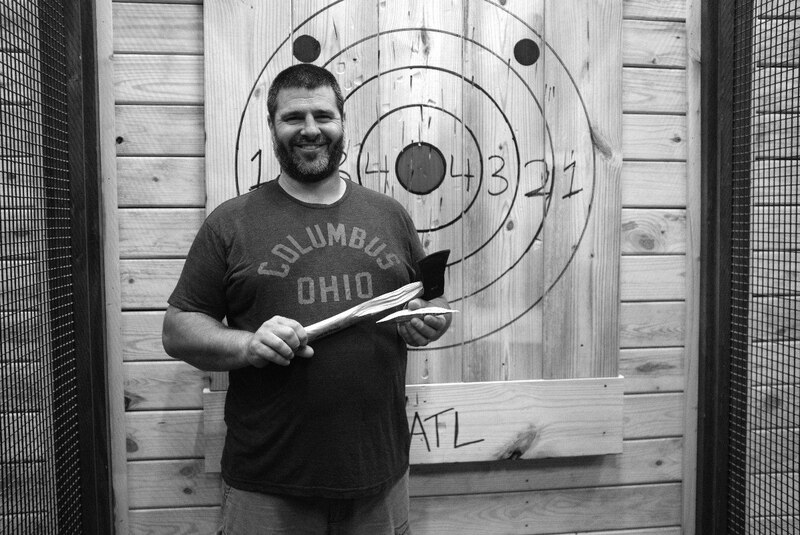 ORIGINALLY POSTED BY COLUMBUS NAVIGATOR on July 13, 2018 – see the original axe throwing lounge article here. Has date night gotten stale? Have you and your friends been looking for something fun to do, other than dinner and drinks? This Saturday, your newest night out destination has its grand opening. Lucky for us, we were able to take a sneak peek. Dueling Axes is straightforward, and no frills. Which is not a downside. After a short review of safety rules and a demonstration, our expert, Mike, got us started without much delay. The premise is simple, you are throwing an ax at a wooden target. It is, of course, comparable to Columbus Ax Throwing, which we covered HERE. But having experienced both places, the atmosphere and convenience differ greatly. Being downtown and close to lots of different restaurant, bar, and nightlife action certainly has its advantages. At Dueling Axes, you are within a few blocks of Mikey’s Late Night Slice, The Walrus, 16 Bit Bar + Arcade, and many more. Plus, with the added bonus of the CBus, you can park once, and enjoy much of what downtown has to offer. Another appealing feature of this new hot spot is the BYOB aspect. You are welcome to bring in both outside food and drink. For those of you over 21, this is a real lure. No more paying $6 for one beer, you can bring an entire 6 pack to share with a friend, and still come out ahead. In the future, the owners are anticipating a rotating selection of food trucks parked outside, but until then, feel free to stop at Dirty Frank’s and bring your own “Classy Lady” to snack on. While I did not see this noted on the website, closed toed shoes are a requirement to throw axes, for obvious reasons. It is, however, listed on site as one of the safety rules. So, even though it’s summer and your toes are looking nice, make sure to dress accordingly, so you get to keep all ten of them. The interior of Dueling Axes is industrial and modern. Think Edison bulbs, leather, and exposed beams. There’s ample seating for each of the eight throwing lanes, at bar height tables with stools. Additionally, there’s a lounge area tucked into the corner if you feel like hanging out after your time slot to watch more of the action. 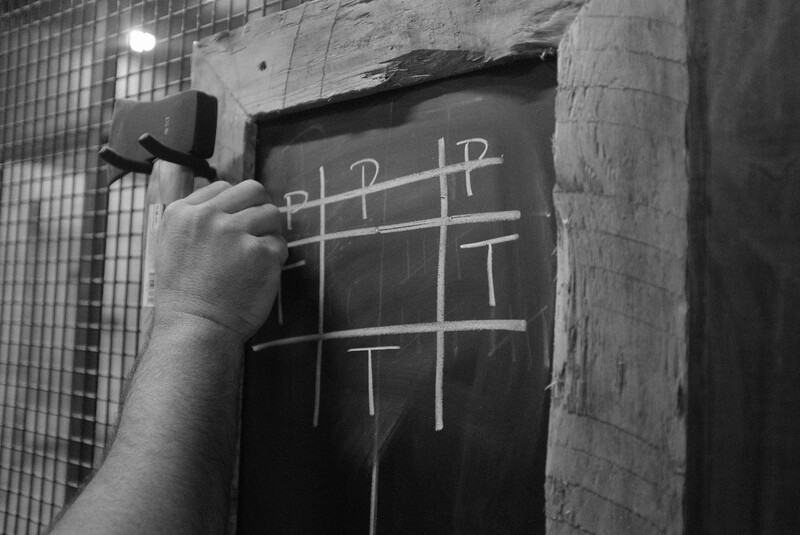 Your “host” will leave you with a set of instructions for different games to play, tic tac toe and 21, among others. For this week’s soft opening, it was just my husband and I, but I could see the attraction of coming with a large group. Each lane can accommodate groups up to 12, and booking is conveniently available online. As I mentioned, this wasn’t my first rodeo, but I’m not terribly good. I did score one bullseye (picture for posterity, obvi), but my husband might have a future in the Lumberjack Games. He beat me soundly in each game we played, despite giving me a handicap. Currently, you enter through the revolving doors, into a lobby space, and Dueling Axes is to your right. In order to become ADA compliant, they are in the process of adding an extra entrance, directly into the space, which should be completed in the next few weeks. This weekend only, in honor of the grand opening, you can book a lane at just $10 per person/per hour (July 14 & 15 only). My only complaint would be that it can feel a little crowded if you have a group playing together on a lane. You want to stand close enough to watch, but you also cannot enter the lane, which leaves a few feet of prime viewing real estate. But really, I didn’t find that people were clamoring over each other to get a glimpse at my husbands ax prowess, so as long as you like the people you are with, it’s no big. Dueling Axes is locally owned and operated, and located at 309 S 4th St. So if you’ve ever axe’d yourself if you woodlike to try something new, there’s no time for splitting hairs, go check ’em out! Tracie is an extroverted introvert who loves expensive cheese and cheap wine. A wearer of socks with sandals, she abhors whistling. When not spending time with her family, you can find her creating new puns to embarrass them with. 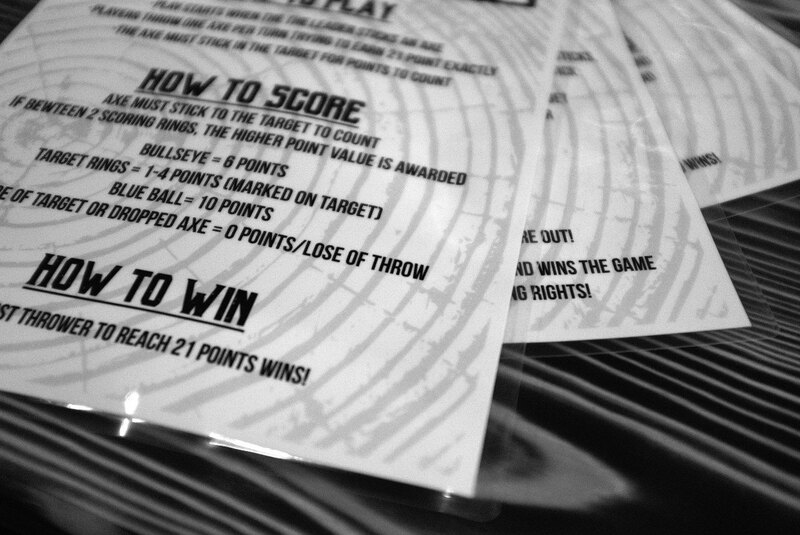 ORIGINALLY POSTED BY COLUMBUS UNDERGROUND on April 27, 2018 – see the original axe throwing lounge article here. Axe throwing lounge Dueling Axes is set for a late spring opening in Downtown Columbus, at the corner of South Fourth Street and Noble Street. Co-owners Jess Hellmich and Paul Sherry have known each other several years and worked together at a roofing company in Westerville. Hellmich ran its marketing department while Paul worked on the operations side, before working together to help start a distribution company in 2015. With a drive to open their own business, Hellmich and Sherry came across the concept of axe thowing. It’s a nice change of pace from the world of construction, Hellmich says. Anyone hesitant to try axe throwing should know it’s much less intimidating than one might think, Hellmich says. There haven’t been any reports of major injuries in the sport, and there will be trained professionals on site for safety briefings and coaching. Dueling Axes will be BYOB, allowing outside beer, wine and food. 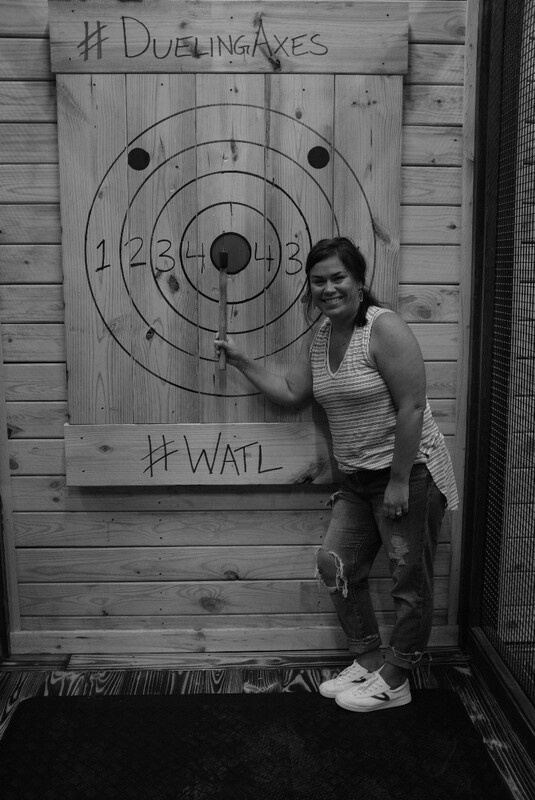 The focus will be on the experience of axe throwing, Sherry says, rather than it becoming a bar with axe throwing in the background. What also makes the location great is being a part of the Downtown community, Hellmich says. Dueling Axes will be located at 309 S. Fourth St. For more information, visit theduelingaxes.com. 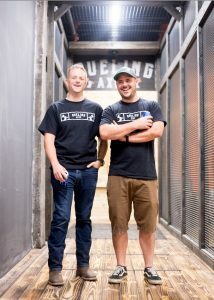 Dueling Axes will be providing a space, coaching and equipment for the only Columbus axe throwing lounge coming to Downtown. 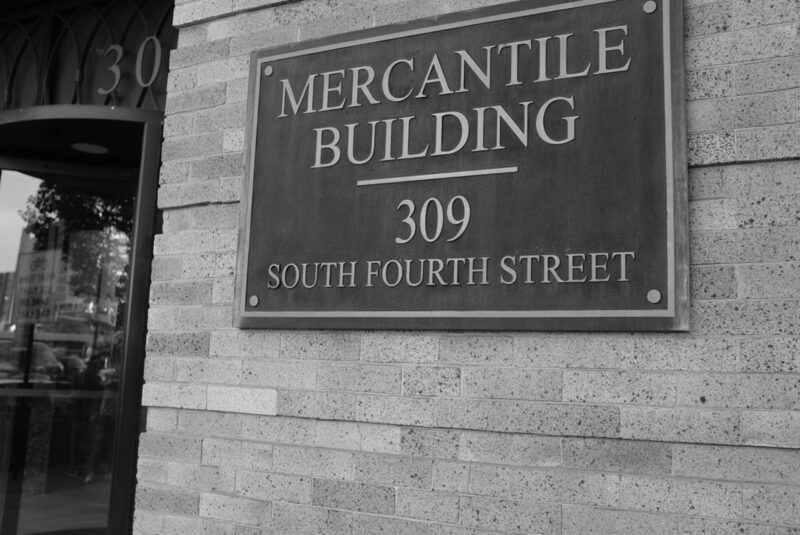 We are located on the first floor at The New USCC building @ 309 S 4th Street, Columbus, OH 43215. We are currently renovating our space but will be open in late Spring 2018. Lot’s of hard work going on. We can can’t wait to see you there! 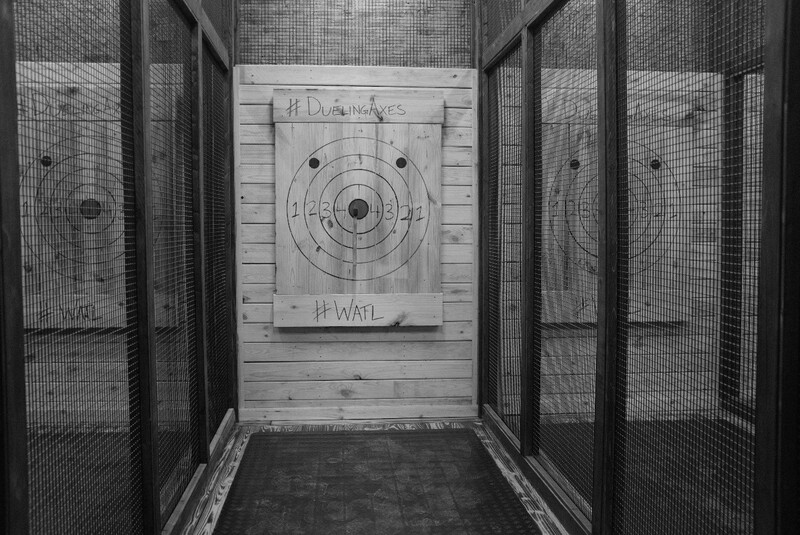 You can visit the reservation page to book your axe throwing lane now. When you visit us, remember that we are less than a block away from The Walrus, Dirty Franks, Late Night Slice, and 16-Bit Bar + Arcade. Plan a night on S 4th Street with dinner, Columbus axe throwing at Dueling Axes and drinks. 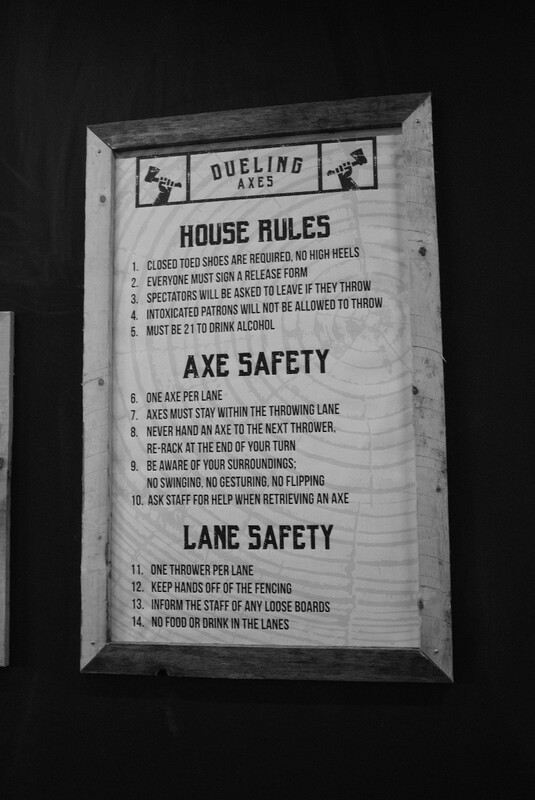 We are a BYOB and outside-food friendly establishment so grab a six-pack, a pizza, and your friends and we’ll make sure you have an axe throwing experience like you can’t have anywhere else in the country. I mean, come on, wouldn’t you rather be axe throwing instead of sitting behind your desk or running errands? I know we would, but we’re busy getting Dueling Axes ready for you so you have a place to go. 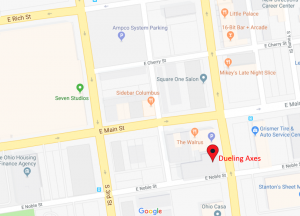 Dueling Axes is opening up in Downtown Columbus in Spring 2018. Get ready, it will be here before you know it! While we’re breaking down pallets and grinding metal, start practicing so you can win all the bragging rights. 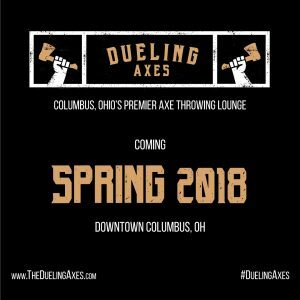 Dueling Axes – Opening Spring in Downtown Columbus! 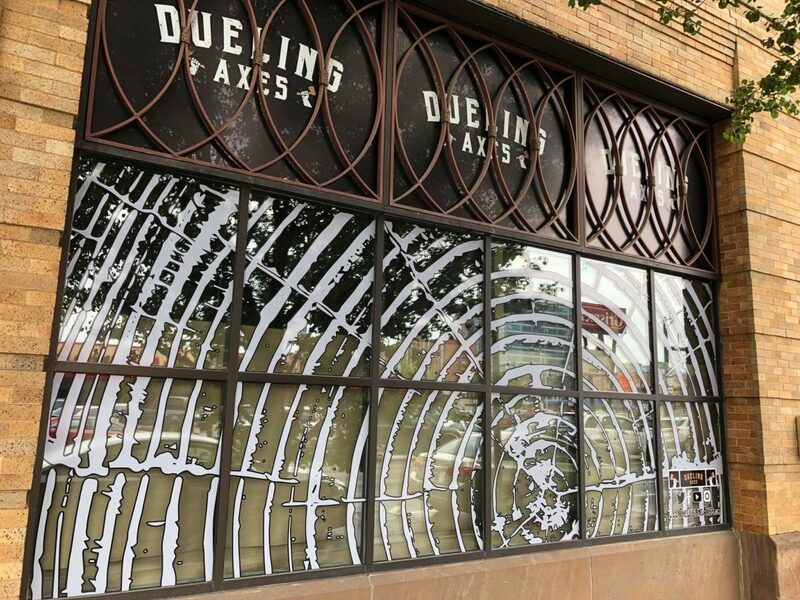 Dueling Axes is opening in Downtown Columbus, Ohio in late Spring 2018. 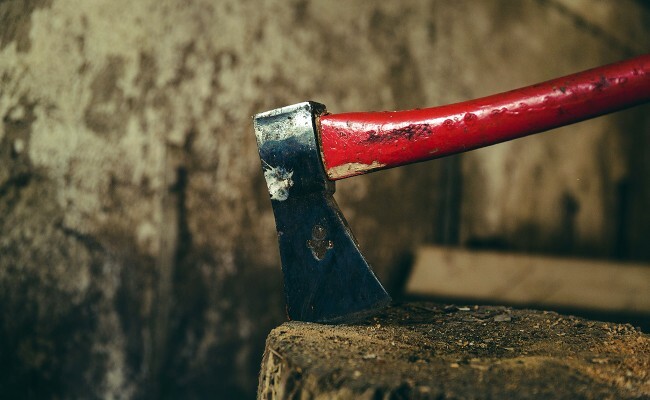 Have you ever thrown an axe for fun? How about competitively? Now you can. Our axe throwing lounge is BYOB and outside-food friendly so grab a six-pack and some friends, a pizza and a date or cater in for your group’s private event and experience something completely different. Bring your primal desires to life at Dueling Axes.